Shawano varsity game versus Xavier. 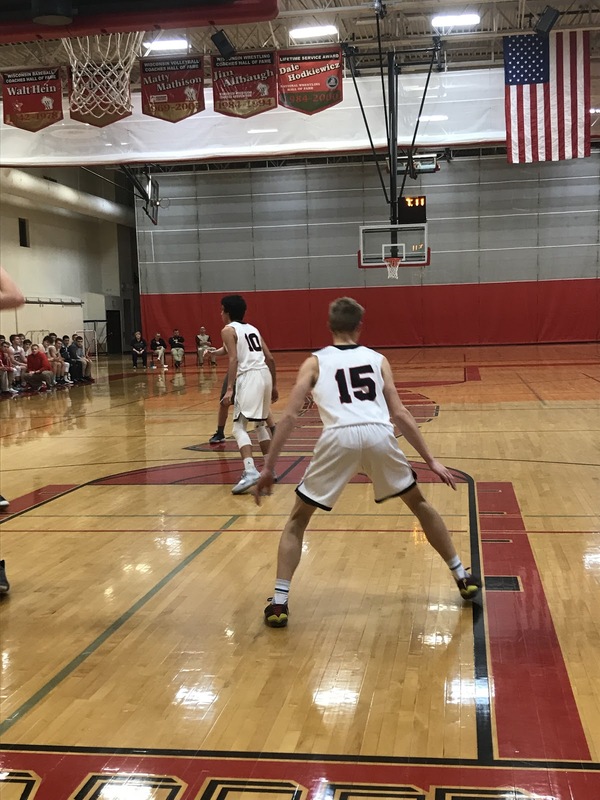 Shawano Boys Basketball has had an exciting 2018-2019 season thus far, filled with many ups and downs. Though the team has a losing record of 4-6, they have learned a lot of things about teamwork, and each player has improved individually. 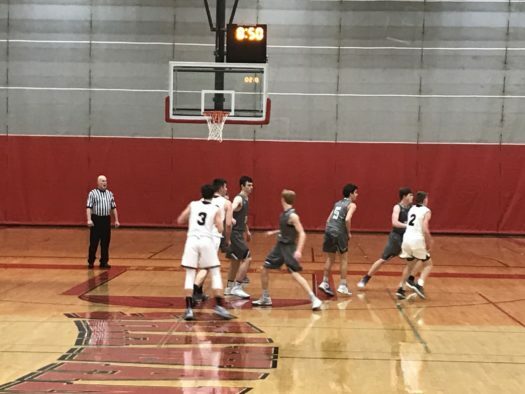 The varsity team’s recent game versus Xavier High resulted in a 48-76 loss on January 7. As a whole, the team worked hard throughout the whole game. “[The night of the Xavier game] our effort was good. As a team, we need to clean up some things on the offensive and defensive end,” said freshman Elliott Lowney. Against West De Pere’s team, it was a battle to the end for Shawano. The result of the game ended up being a loss for the boys in double overtime, with the end score being 63-61. One player that stood out was sophomore Joseph Mente. During the West De Pere game, the varsity team also lost their senior Nick Grignon due to a collarbone injury. Losing the senior captain of the varsity team came with a few setbacks, but the team does not plan on letting that stop them. Teamwork is a huge part of Shawano basketball. The varsity team puts the word “family” on everything. “Having four other guys on the court and knowing that they have your back helps you realize that together the team is much better than just one player,” explained Anderson. When Shawano faced Pulaski on November 30, the players felt most like a team. Freshman Ethan Schwitzer on the court (#15). The team is looking for ways to improve their game, both individually and as a whole. “Going forward as a team, we need to protect the ball on offense, play hard, and just trust the system,” Lowney stated. As the season progresses, so do the players’ opportunities to learn and work hard. “My personal goal is to improve as an offensive player. Be more of an offensive threat,” said Schwitzer. The varsity team’s goal is to attend sectional finals at the end of the season. Good luck on the rest of the season, boys!